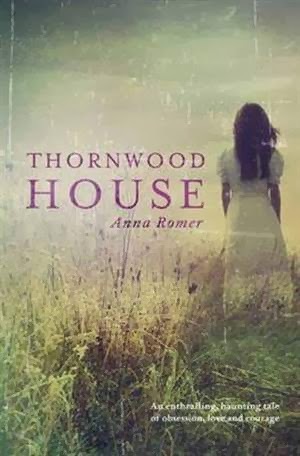 When Audrey Kepler's former partner, and father of her daughter Bronwyn, dies suddenly she is very surprised to find that he has left her a property in Queensland called Thornwood House. It is where Tony grew up, but he never spoke about his childhood years in the house and he most certainly never spoke of his family. When Audrey and Bronwyn travel from the home in Melbourne, it is purely with the intention of seeing the house so that they would be able to decide to sell the house and then continue with their lives in Melbourne. It doesn't take long before they both feel the attraction of living in a big rambling Queenslander style home, and the decision is made that rather than sell the house, they would make the move permanent. Audrey, in particular, is drawn to the history of the house and to the history of Tony's family, which isn't a happy one. At the end of WWII, Tony's grandfather Samuel was accused of murdering his grandmother, Aylish. They had been young lovers, who had been torn apart by war, by circumstance, and seemingly by other people's interferences. Ostracised by the town, Samuel lived a pretty solitary life but Audrey come to believe that maybe he had been treated badly. That was not the only unfortunate death to hit Thornwood and the family, and soon Audrey finds herself searching for the truth of all of them. But can she find the truth without putting her life, or the life of her daughter, at risk. The story unwinds through three time frames. The first, and most prominent, is the current day storyline of a young woman trying to make a new life for herself and her daughter, both of whom are working through the grieving process. The second storyline is that of Samuel and Aylish, the doomed lovers, which plays out against the spectre of World War II and it's immediate aftermath. This story is predominantly told through a series of letters. The third story comes from the 1980s and focuses on the tragedies that caused Tony to leave his home in the first place, and why he would never speak of his early life. This particular storyline is told mainly through the pages of a journal but also through the memories held by the people that were left behind, who are slowly becoming friends with Audrey and Bronwyn. I felt that the author made interesting choices with her secondary characters. Just when you thought that a character was one thing, they would turn out to have a back story that completely changed the way that you thought of them. I also enjoyed the relationship that developed with Danny, the local vet, who also happens to be deaf. I completely understood why Audrey struggled with the idea of moving on even though she had been by herself for so long. I will probably freak out the first time I am kissed again because it has been so long for me. I should put a disclaimer on that to say if it ever happens really! My only minor qualm with the book was in relation to the bad guy. I can't really go too much into detail without sharing fairly big spoilers, but I did find myself wondering about the motivation, and the physicality and whether the latter in particular would be possible, or more precisely, likely. Before I read the book, I had seen it compared to other Australian authors like Kate Morton and Kimberley Freeman, and the comparison is relevant. There is that same gothicky feel that is so common to Morton's books, although I would tend to say that this might be a bit darker than some of Kate Morton's books and definitely darker than Kimberley Freeman's books. There is the dual story line, the connection to the past through various artifacts and a kind of spiritual link to the past so if you like any or all of those factors then this could be a book for you..
Where Romer really stands out is in her ability to describe the landscape without overwhelming the reader. For example, there is a section where one character is explaining carnivorous plants to Bronwyn, and I found myself thinking that it shouldn't have been anywhere near as fascinating as it was! This was an excellent debut novel and I will be looking forward to reading Anna Romer's next book with great interest. When Audrey Kepler inherits an abandoned homestead in rural Queensland, she jumps at the chance to escape her loveless existence in the city and make a fresh start. In a dusty back room of the old house, she discovers the crumbling photo of a handsome World War Two medic - Samuel Riordan, the homestead's former occupant - and soon finds herself becoming obsessed with him. But as Audrey digs deeper into Samuel's story, she discovers he was accused of bashing to death a young woman on his return from the war in 1946. When she learns about other unexplained deaths in recent years - one of them a young woman with injuries echoing those of the first victim - she begins to suspect that the killer is still very much alive. This sounds really good, Marg! I love books that cross over timelines. I ill be adding this one to my wish list. I hadn't heard of this one but it has a lot of elements I like. I'll keep it on my radar. Sounds really good. I must get to it soon!